"As is usually the case, our vigilant users reported it to us first," Facebook spokesman Barry Schnitt told CNN. "The USSS [Secret Service] sent us an e-mail late this morning PDT asking us to take it down. At that point, it had already been removed, and we let them know." Schnitt said the application "was immediately suspended while the inappropriate content could be removed by the developer and until such time as the developer institutes better procedures to monitor their user-generated content." Facebook allows third-party developers to create applications - such as polls and quizzes - which are then made available to Facebook users, who use the applications to create specific content. 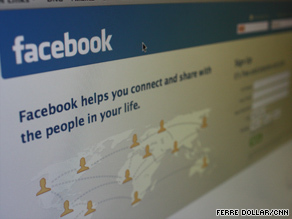 Users may choose to make their content available to the general population of Facebook or limit it only to their friends. 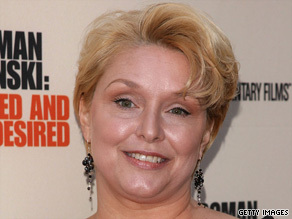 Once an aspiring actress, Geimer has said she long ago got over what Polanski did to her. She sued him, and a settlement was reached out of court. But the media, prosecutors and the courts in Los Angeles, California, continue to torment her, she has said. LOS ANGELES, California (CNN) - Michael Jackson feared his father so much he would faint or vomit sometimes when his father entered the room - even when the pop singer was an adult, according to a book written by a former Jackson confidant. Note: Rabbi Scmuley Boteach is scheduled to appear on Larry King Live Tuesday, 9pm. The King of Pop lives on in the hearts of publishers who are releasing a batch of new Michael Jackson books this fall. Just out with a 400,000 first printing: The Michael Jackson Tapes: A Tragic Icon Reveals His Soul in Intimate Conversation by Rabbi Shmuley Boteach (Vanguard Press, $25.95). Boteach hosts the TLC show Shalom in the Home. 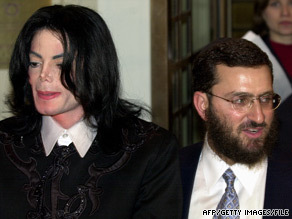 The New Jersey rabbi met Jackson in March 1999 through entertainer Uri Geller. The book is an annotated collection of Boteach's 30 hours of taped interviews with Jackson conducted from August 2000 to April 2001. Lucy Vodden, the woman who inspired the Beatles classic 'Lucy in the Sky With Diamonds,' died last Tuesday at the age of 46. Vodden, a childhood friend of Julian Lennon, passed away after losing a fight with the autoimmune disease lupus, according to an announcement made Monday by the St. Thomas' Lupus Trust Charity. John Lennon took the song title from a picture Julian had drawn of Vodden at school. "That's Lucy in the sky with diamonds," Julian told his dad when he brought the artwork home. Due to the psychedelic feel of the song, from the Fab Four's iconic 1967 album 'Sgt. 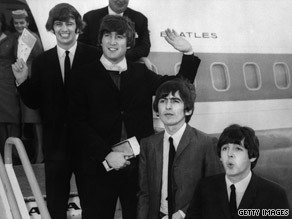 Pepper's Lonely Hearts Club Band,' many fans felt the song's title was an allusion to LSD. 'In a Fighting Mood,' Roman Polanski Will Contest Extradition to U.S.
PARIS, Sept. 28 - Roman Polanski's chief attorney said Monday the imprisoned movie director would fight any attempt by Swiss authorities to extradite him to the United States, setting the stage for an international legal struggle over his fate. "He is in a fighting mood and determined to defend himself," the Paris-based lawyer, Herve Temime, said in a statement. 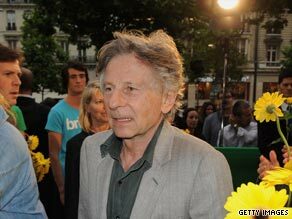 European cultural figures, political leaders and show-business personalities rose up in Polanski's defense, insisting that the film director be released because his original criminal charge dates from a 1977 incident. They portrayed the determination of Los Angeles judicial authorities to bring him to trial so many years later as vindictive and a stain on U.S. democracy. The limited two-week theater run of "Michael Jackson's This Is It" film guaranteed that tickets would be in high demand, and sure enough, all 3,000 tickets for Los Angeles advance screenings of the music documentary sold out within two hours early Sunday, according to AP reports. The screening will take place the night prior to the October 28 nationwide release at the new Regal Cinemas Stadium 14 in Los Angeles. The film follows Jackson as he rehearsed and prepared for a 50-date run of London concerts, which were scheduled to begin just weeks after his death on June 25. The film, which was directed by Kenny Ortega, will feature behind-the-scenes footage as well as Jackson and his band and dancers rehearsing for the tour. Last week, it was confirmed that a two-disk album featuring a new song, "This Is It," will be released on October 27 to coincide with the movie's theatrical release. The new single will be released on October 12. Editor's note: Yusra Tekbali is an Arab-American freelance journalist. Born in Woodland, California, to Libyan parents, she graduated from The University of Arizona with degrees in journalism and Near Eastern studies. 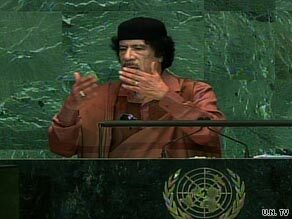 (CNN) - On Wednesday, Libyan leader Moammar Gadhafi spoke before the U.N. General Assembly for the first time in his 40-year rule - apparently making up for lost time with a nearly 100-minute speech, which dramatically exceeded the allotted 15 minutes. Gadhafi stuck to his usual enthusiastic manner of delivery, without relying on teleprompters. In some instances he became visibly overheated, ad-libbing and saying things he probably wouldn't have said had he stuck to a speechwriter's text. Gadhafi's advisors should have helped him prepare a speech that would have been more appealing to the American people. In it, he should have addressed Libya's improving relationship with the U.S., including several business developments and diplomatic exchanges, as well as Libya's changing economy and society. Instead of saying that Obama should "rule forever," Gadhafi should have praised the president for ushering in a new era and embracing the Arab world, which includes Libya. Gadhafi, who was warned by the U.S. not to gloat about the release of the Libyan convicted in the Lockerbie bombing, entirely avoided it and mentioned everything else in his eclectic, over-the-top speech. He called for a reinvestigation of Martin Luther King Jr.'s death, demanded Africa's past colonizers pay $7.7 trillion in compensation, and even suggested swine flu was created in a military laboratory. Iranian President Ahmadinejad speaks with Larry! !